The Super Option is a revolutionary employer-sponsored healthcare option that supplements your existing PPO by offering employees of self-funded plans exceptional quality and savings on frequently utilized health services. Plans save 10-80% when compared to their PPO and employees enjoy low or no-cost healthcare through Plan Design. No more negotiating, repricing, or collections. Providers name their best price for clearly defined episodes of care and get paid within 21 days* or less. Every plan’s cost and culture are different. 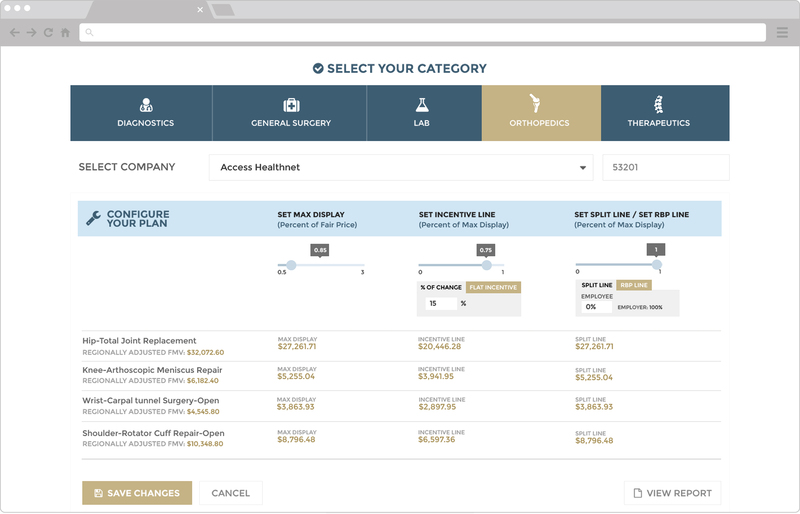 The Super Option is easily customized to meet the unique needs and goals of every plan, regardless of size of organization or geographic distribution of employees. Shared savings and incredible value are the keys to success. Providers, employers and patients each benefit by working together. It’s a win, win, win. 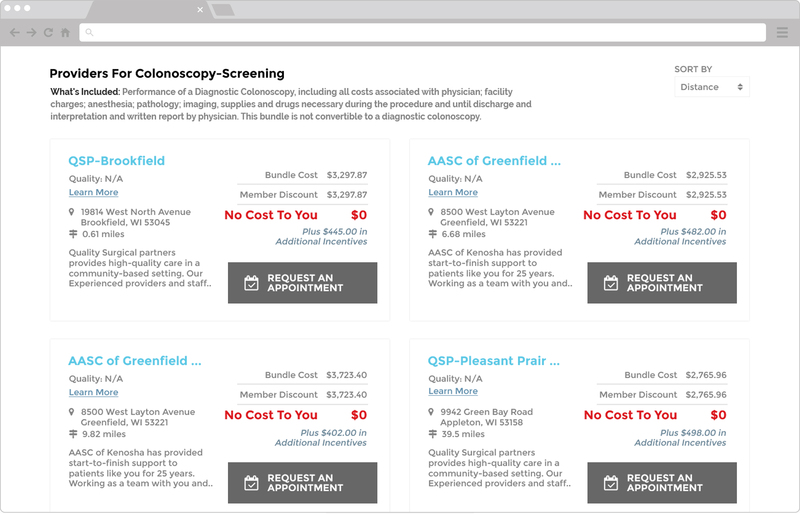 Providers choose from over 1,100 standardized bundles, ranging from basic diagnostics to complex surgeries. They name their own price using our powerful bundling tool, which accommodates everything from global to multi-contract payment. This gives providers of all types the ability to offer all-inclusive bundles. Take control of healthcare costs by incentivizing consumerism and responsible healthcare buying. Our Plan Design Tool gives employers and plan administrators the power and flexibility to guarantee savings while rewarding employees. You can’t lose with The Super Option. More than 1,100 services are available through The Super Option. 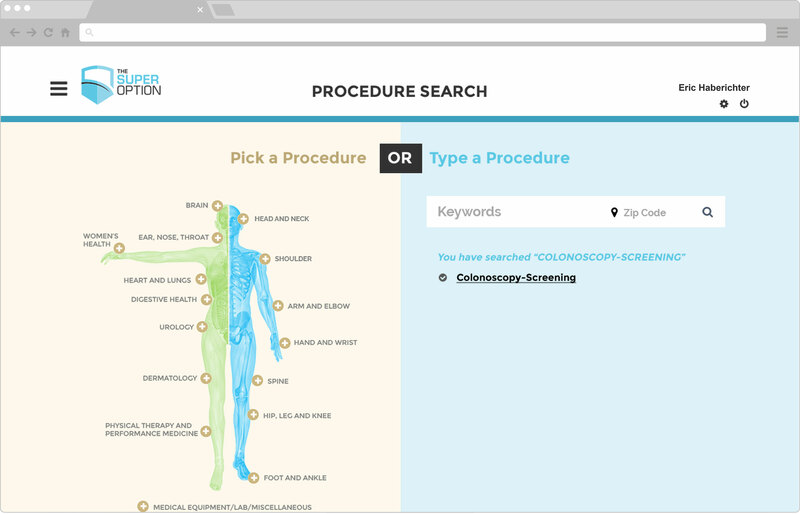 Click on the associated body part for a list of related services, or type key words and your zip code for services in your area. More than 100,000 bundles are available either online or with the assistance of our team. 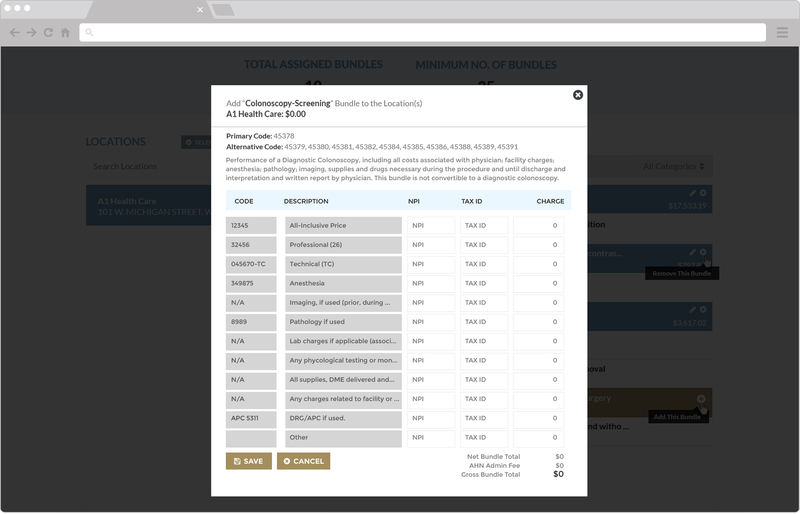 Easily sort the list of available providers by cost or distance. Visit a provider’s profile page to learn more about their facility, services and physicians and read reviews from other users if available.